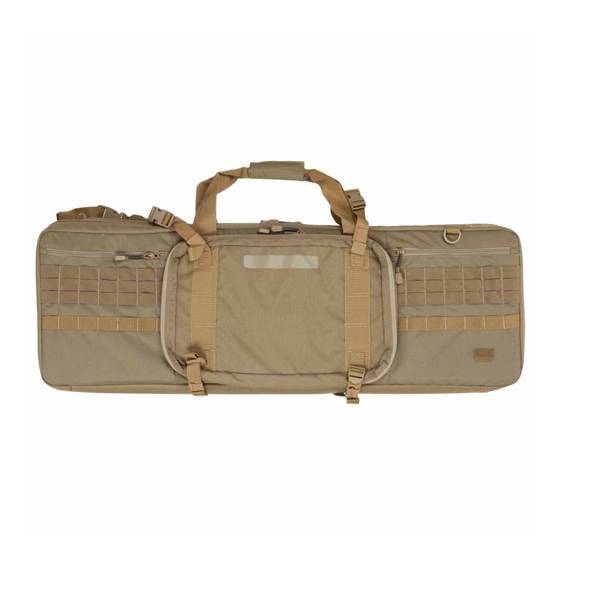 The next generation of double rifle cases from 5.11, field tested by Viking Tactics®, are here with a more refined design and more flexible functionality. The front compartment has been simplified and now features a full-size laser-cut web platform for easy pouch attachment and arrangement. 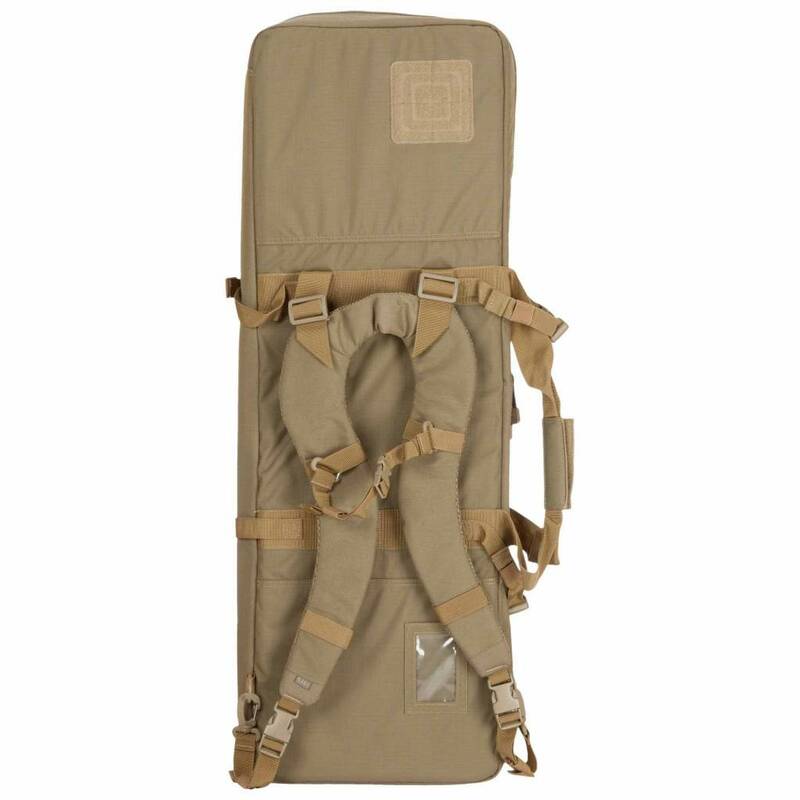 A loop-side surface provides a base for additional MOLLE or SlickStick compatible patches or gear, allowing you to adapt your loadout on the fly. 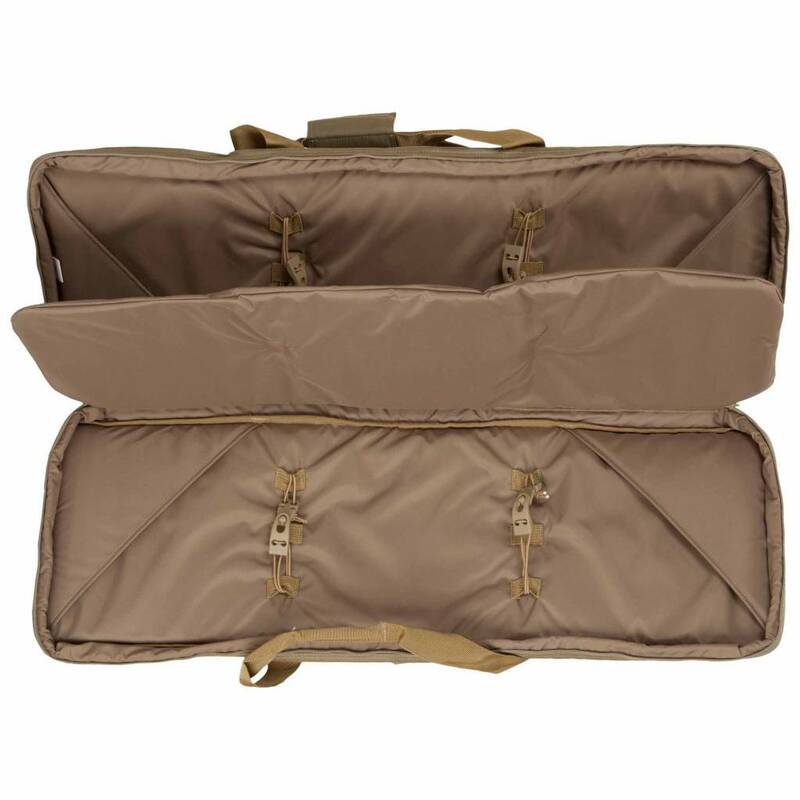 The shell of the case is crafted from toughened 1050D nylon, while the 500D nylon ripstop interior offers locking zippers to keep your rifles secure. An integrated padded divider helps prevent your rifles from dings scratches, and accidental impacts. Includes an adjustable shoulder strap and the 5.11® yoke backpack system.